T-Mobile still has a Buy One, Get One deal on the Galaxy S8, S8+, LG G6, and LG V20! Here's a little reminder: T-Mobile's Father's Day BOGO deals are still going, letting new and existing customers buy a Galaxy S8, S8+, LG G6, or LG V20 this week and get a second phone for free! The catch is you need to fork all the cash upfront (for a single phone, thankfully) and get reimbursed a little later. Still, newcomers to the Magenta carrier have to purchase the phones on an Equipment Installment Plan and activate them on a T-Mobile One plan, while existing customers simply have to choose a new phone on their EIP plan, then add a new voice lined and unlimited data to it. The next step is to get your rebate, of course. Simply log in to your T-Mobile account and enter the promo code 17JUNESAMBOGO. You must claim your money within 30 days of activation, and it won't happen without this code! By the way, you can mix and match the devices you get, but the caveat is that you'll only get back the value of the lower-priced device. So buying a Galaxy S8+ and getting a Galaxy S8 for free nets you the Galaxy S8 price only. 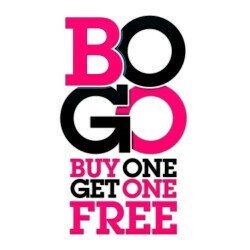 Ah well, that's the way carriers do this BOGO business. Is anyone up for the offer? Tell us what you think in the comments below!